Some of you may have noticed a few changes when it comes to all things This Northern Gal over the last few months. I’ve gradually gotten rid of pictures of myself from my public profiles and stopped using my surname online. It’s now just Kelly and instead of a photo of myself, I have a lovely illustration done by Jemma from Dorkface. If you did notice, you might have been wondering why I did it. If not, this might not be the post for you. That’s ok; I’ll see you on the next one! In part, it’s to do with my new job but it’s also because I’ve been thinking a little bit about online privacy for a while. A version of this post has actually been sat in my drafts since last summer. When you are a blogger, it can be really difficult to know where you draw the line. What do you keep private? What do you share online? It’s a balancing act that you are constantly needing to reassess. It’s almost made a lot more complicated by the fact that there is no easy answer. If you’re looking for one, I can’t help you there. I can, however, share a few of my thoughts on the matter. At the end of the day, blogging is all about sharing. It is a major part of the job/hobby. If you are someone who wants to disappear off the grid entirely, it probably isn’t for you. I started This Northern Gal in order to share the things I love. A lot might have changed about this blog over the years, but that never has. This Northern Gal is a place to write and to rave and to share. It is also online and, so, it is a public thing. However, having a blog does not mean that you can’t keep anything private or that you shouldn’t. Just because I have told the internet about my favourite book or a new cruelty free moisturiser doesn’t mean that I’ll share the ins and outs of what is going on. I certainly don’t have to, no matter what people might say. There is plenty going on behind the scenes that never make it to this corner of the internet, or its associated social media. That is a deliberate decision that I make every time I press ‘Add New Post’ or compose a tweet. I am, by nature, quite a private person. I don’t want to be shouting about my life all over the internet and that has only become increasingly apparent to me since I started this new job. I relish a little privacy and keeping the IRL stuff to myself. It’s a big part of how I find some much needed balance in my life. Now don’t get me wrong, if you want to share every detail of your life, that is your prerogative. It’s just not something I am overly comfortable with. 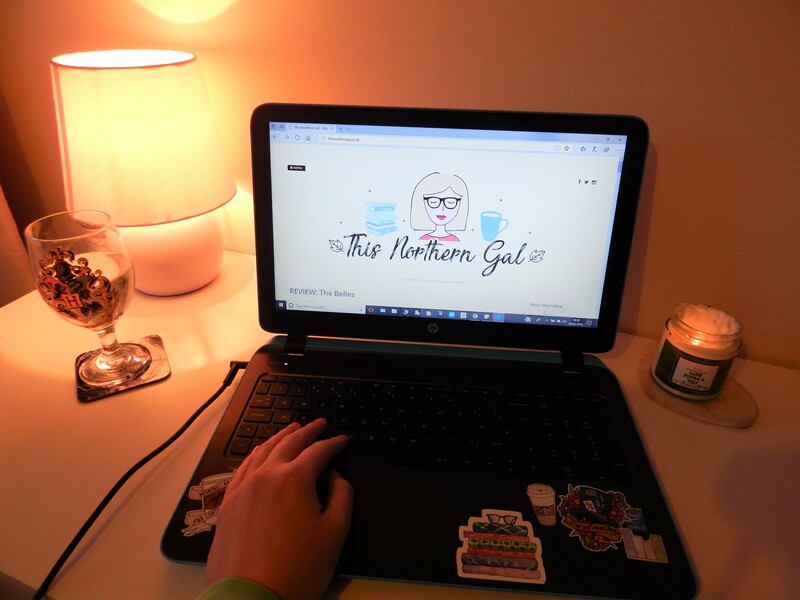 When you add to that that I wanted to make This Northern Gal a positive place, it just doesn’t fit with who I am as a person or where I see my blog going. If you want to share the good and the bad, and you’re happy with it, please go ahead. I endlessly admire people like Louise Pentland and Helen Anderson who use their online presence to share the reality of life in all its glorious messiness. But I also am endlessly infuriated by those that seem to think that sharing something online means that you owe an audience everything. They don’t. Neither do I. I set pretty firm limits on what I share online to ensure it is well within the parameters of what I am comfortable putting on the internet. It does scare me a little how permanent these decision are and just how many people it could reach. It always has so I keep a large portion of my life away from the internet, whether that is on This Northern Gal or my personal, private accounts. What does this mean for This Northern Gal? Not much will change, if I’m perfectly honest. These thoughts are nothing new, even if they have returned to my radar in a pretty major way over the last year. I have always tended to keep my personal life away from the blog anyway so my actual content will probably be the same. There just won’t be any pictures of me (or at least of my face!) on the blog. The only section that will suffer will be ‘Style’ but I think we all know that that category is a little neglected anyway… There will be more of the important stuff though and by that, I mean pictures of books, food and adventures! I don’t think there are any right or wrong answers when it comes to the question of privacy in the blogosphere. Every blogger has to make their own decision on where their line between public and private is. Nobody, least of all me, can tell you where that line is for you. All I can do is share my own, slightly rambling thoughts on the matter. For me, I will always err on the side of caution and hope that you are ok with that. I 110% believe that you can still share the things you love and snippets of your life online without sacrificing your IRL privacy. Others might disagree and I’m ok with that too. In fact, if you have any thoughts on the matter, I would love it if you could share it in the comments below so we can have a discussion on it.